Dr. Kurt Organista is a Professor of Social Welfare at the University of California Berkeley. 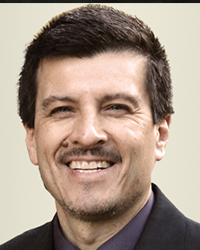 As a leading expert on social work practice within the Latino community, Dr. Organista’s research focuses on psychosocial problems within the Chicano and Latino communities, acculturation and adjustment of ethnic minorities to American societies, minority mental health, cognitive behavioral therapy, depression in Latinos and HIV prevention with Mexican migrant laborers/Latinos. Dr. Organista’s book, HIV Prevention with Latinos: Theory, Research and Practice, is the first-ever collection of texts written by leading authorities on the topic of HIV prevention among diverse Latino populations. It attempts to respond to the diminishing returns of the behavioral model of HIV risk by deconstructing the many social ecological contexts of risk within the Latino experience. He is also serving as the principal investigator for a National Institutes of Health (NIH)/National Institute on Alcohol Abuse Alcoholism (NIAAA)-funded project that seeks to developing and test a structural-environmental model of HIV risk and prevention for migrant day laborers in San Francisco and Berkeley. Organista, K. C., Arreola, S. G., & Neilands, T. B. (2016). La desesperación in Latino migrant day laborers and its role in alcohol and substance-related sexual risk. SSM-Population Health, 2, 32-42. Hernandez, M. Y., & Organista, K. C. (2015). Qualitative Exploration of an Effective Depression Literacy Fotonovela with at Risk Latina Immigrants. American Journal of Community Psychology, 56(1-2), 79-88. Worby, P. A., Organista, K. C., Kral, A. H., Quesada, J., Arreola, S., & Khoury, S. (2014). Structural vulnerability and problem drinking among Latino migrant day laborers in the San Francisco Bay Area. Journal of Health Care for the Poor and Underserved, 25(3), 1291-1307.